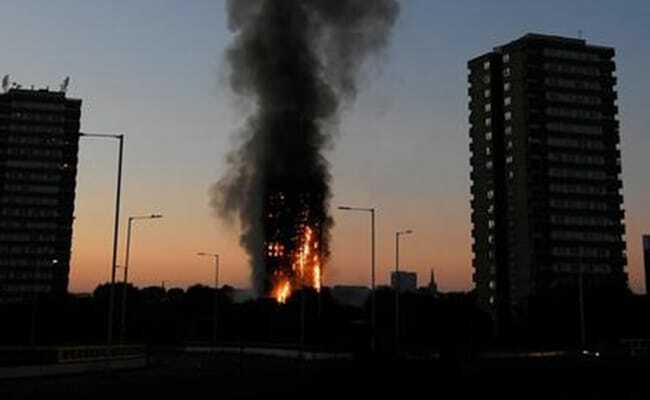 A massive fire ripped through a 27-storey apartment block in west London in the early hours of Wednesday, trapping residents inside as 200 firefighters battled the blaze. Witnesses could hear screaming from the upper floors as the flames rose and one desperate resident could be seen waving a white cloth. London Ambulance Service said they have taken 30 patients to five hospitals in the city. Police and fire services attempted to evacuate the concrete block and said "a number of people are being treated for a range of injuries", including at least two for smoke inhalation. Frantic families at the scene attempted to call their loved ones stuck inside and were being directed by police to a nearby restaurant where some of the injured were being treated. The fire brigade said 40 fire engines and 200 firefighters had been called to the blaze in Grenfell Tower, which has 120 flats. The ambulance service said it had sent more than 20 ambulance crews to the scene. "Fire is from 2nd to top floor of 27 storey building," the fire service said on Twitter. Firefighters at the scene said they had managed to evacuate residents up to the 11th floor. Police were also clearing out nearby buildings because of fears about falling debris. 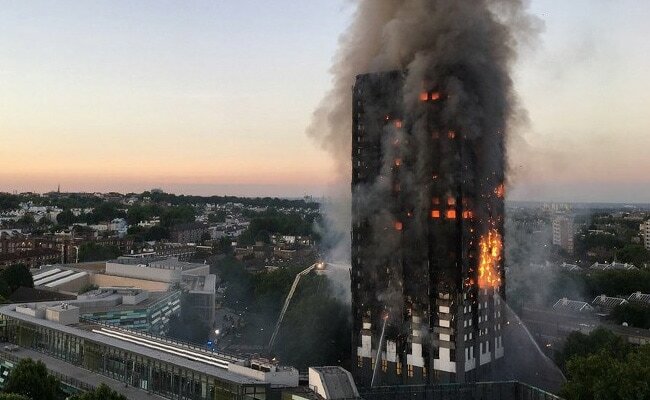 "Firefighters wearing breathing apparatus are working extremely hard in very difficult conditions to tackle this fire," London Fire Brigade assistant commissioner Dan Daly said. "This is a large and very serious incident and we have deployed numerous resources and specialist appliances," he said. 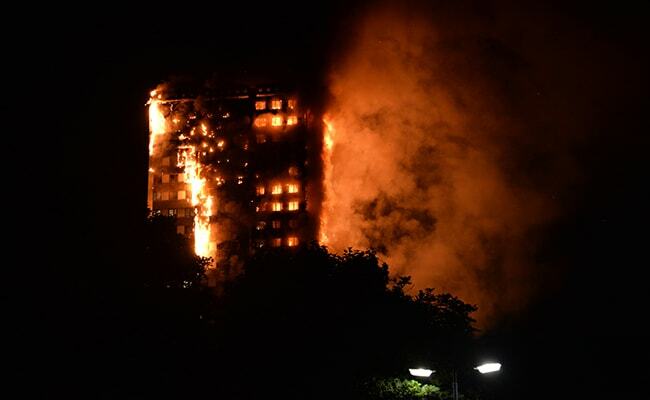 London mayor Sadiq Khan tweeted: "Major incident declared at Grenfell Tower"
Actor and writer Tim Downie, who lives nearby, said: "It's horrendous. The whole building is engulfed in flames. It's gone. It's just a matter of time before this building collapses". Police said in a statement they were called at 1:16am (0016 GMT) "to reports of a large fire at a block of flats in the Lancaster West Estate". The apartment block was built in 1974.